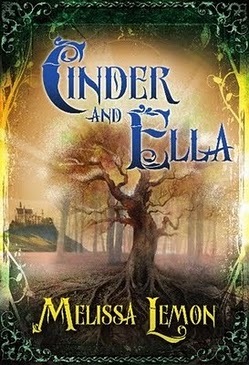 Today my special guest is author Melissa Lemon, whose debut novel Cinder and Ella tells you the story of Cinderella like you have never heard it before! Did you know that there were fours sisters and that they had a loving family? And that sisters Cinder and Ella were two separate persons? Thought you didn't. So if you want to discover more about this version of Cinderella, make sure to pick up a copy of Cinder and Ella when it hits shelves in November. But if you don't want to wait until then, read on, because thanks to Melissa's generosity, you have the chance to win yourself a copy months before its release date! Yay! There are moments inside of stories that are magic. Today I would like to share two of those with you that just happen to come from two of my favorite books: Little Dorrit by Charles Dickens and At the Back of the North Wind by George McDonald . Neither of these books are really fairy tales, but each of them contains one. And the fairy tales held within these books are stories that I love as much as the whole works. In Little Dorrit , Amy Dorrit (sometimes called “Little Mother”) is telling a story to Maggie, who is a woman that is stuck inside her child mind because of an illness that took hold of her when she was young. The story is about a little woman who keeps a shadow in a secret place. One day, the princess comes by. She knows that the woman is keeping something and so she asks her to show it to her. The little woman shows the princess the shadow and tells her that she keeps watch over it every day because there had never been anybody so good and kind. She justifies this by explaining that nobody missed it. The princess tells the woman that when she dies, the shadow will be discovered. But the little woman says that when she goes to her grave, the shadow will follow. The princess looks in on the little woman each time she passes until, one day, the little woman is gone. She has died, and so the princess looks for the shadow. But it is as the little woman had said. Nobody had missed it and the shadow had gone to the grave with her. Maybe it’s not much of a fairy tale, but if you understand Amy Dorrit and what she’s experiencing at the time, you know that the story is about how her own happy ending seems impossible to her, but that doesn’t keep her from holding on to that shadow. In George McDonald’s book At the Back of the North Wind , a man at a hospital tells a story to a group of children. The story is the most beautiful rendition of Sleeping Beauty that I have ever read. It is about the Princess Daylight, who is cursed at birth by an evil fairy to sleep every day. Luckily, the good fairies had planned for this and ensure that she can wake at night. Then the ridiculous, wicked fairy curses her further, so that in her nightly wakefulness, she will wax and wane with the moon. One last fairy makes it so that when a prince kisses her, the spell will be broken. So it is. The princess is vibrant and full of life under the light of the full moon, but resembles an old, wrinkled woman when the moon is as a sliver or is not seen at all. But a prince comes. He sees the princess in her full glory, but does not know who she is or where she came from or why she dances in the moonlight, her beauty increasing every day. Then one night, when the moon is absent, he finds an old woman lying at the base of a birch tree. The woman is crying and so mournful that it almost brings the prince to tears. He lifts her, wanting to find help for her, and can’t help but kiss her lips in his pity for her. The sun is beginning to rise as he sets her down. He sees her transform into the beautiful Princess Daylight, and she sees the light of the sun for the very first time. Sometimes, the best fairy tales are hidden. Do you have a favorite story within a story? Melissa is married to her own prince charming and spends most of her time doting on three lovely princesses. When it comes to fairy tales, she likes to run over the pumpkin and throw the glass slippers to the wind. Oh, and happy endings—they’re optional. 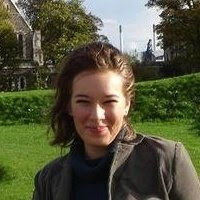 You can reach Melissa at the Official Website of Cinder and Ella, her blog, Goodreads or Facebook. Melissa has generously offered a copy of her book Cinder and Ella , a new retelling of the true story behind Cinderella, the one you never heard. 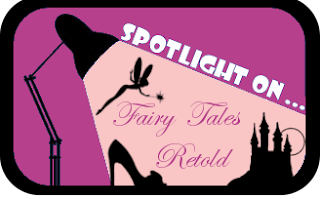 1) answer Melissa's question: Do you have a favorite story within a story? Giveaway is open worldwide and ends on 13 July 2011!